Drug abuse in sports has been seen in many countries and many sports over the years. The use of stimulants drugs to enhance performance has unpleasant consequences for the athlete that falls prey to this misguided thinking. Drug abuse in sports has been known to include the use of stimulants in the form of prescription medication, over the counter stimulants (diet pills) as well as illicit drugs like cocaine or methamphetamine. Although stimulants temporarily increase strength and endurance, the long-term effects on the body can be severe. Some of the consequences of the abuse of stimulants include insomnia, impaired decision making, increased potential for dehydration, anxiety, and tremor. Abuse of stimulants in sports has also been shown to cause heart attack and stroke in some athletes who previously had shown no signs of having heart problems or problems with blood pressure. Stimulant drug abuse in sports can also lead to addiction to the substance and withdrawal symptoms when the substance is no longer being used. 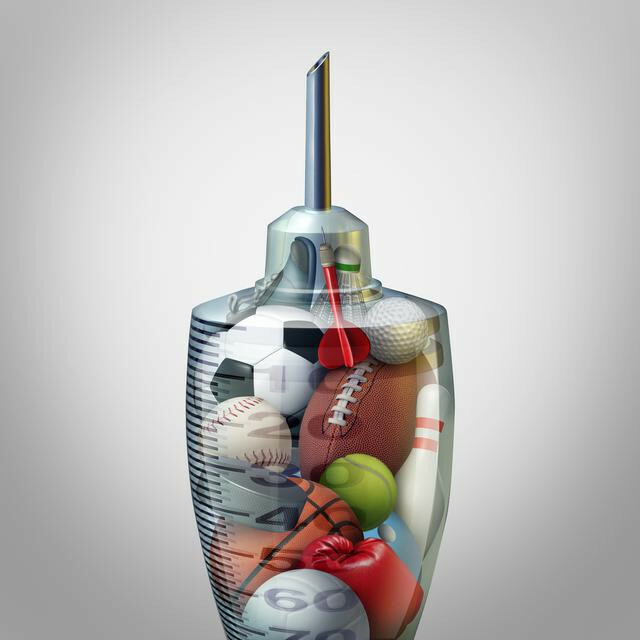 Drug abuse in sports has also been known to include ‘steroids.’ Steroids are available legally with a prescription. They can be prescribed for conditions that occur when the body produces abnormally low amounts of testosterone. These drugs can also be specified to treat loss of muscle tissue in patients with AIDS. Steroid drug abuse in sports is to improve performance and also to improve physical appearance. The primary side effects that come from steroid abuse can include liver tumors and cancer, jaundice, fluid retention, high blood pressure, increases in LDL (bad cholesterol), and decreases in HDL (good cholesterol). Other side effects include kidney tumors, severe acne, and trembling. Aggression and a severe deficit in judgment also increase when there is the abuse of steroids, and some people turn to abusing other forms of drugs to alleviate the symptoms of steroid abuse. The effects on youth who abuse steroids can be long-lasting and sometimes irreversible. Abuse of these types of drugs in a young person can interfere with proper growth and development. Steroid abuse in young people can also alter hormonal patterns. Drug abuse in sports has been present for many years, in both adults and youth trying to increase performance, appearance, and stamina. The effects of drug abuse in sports can be serious, and the risk of damage (sometimes irreparable) and the long-term effects are far greater than the minimal short-term so-called positive effects. Also, the risk of losing a promising athletic career or being banned from the sport of choice is also present as rigorous testing for drug abuse in sports has become the norm.